KFC’s iPhone Killer in China. This will be the best thing you will read on the Internet today. If you are a fan of fried chicken and gadget lover, there would be no joy greater than this. 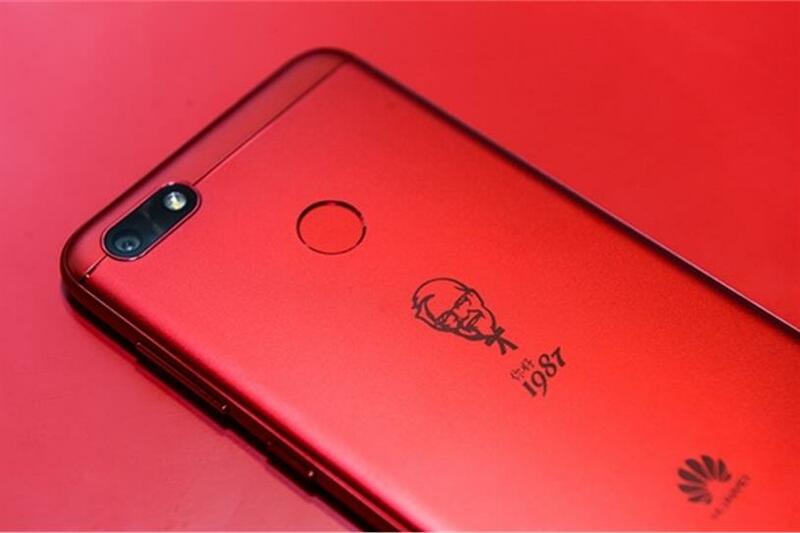 KFC has made an exciting partnership with Huawei to make phones. 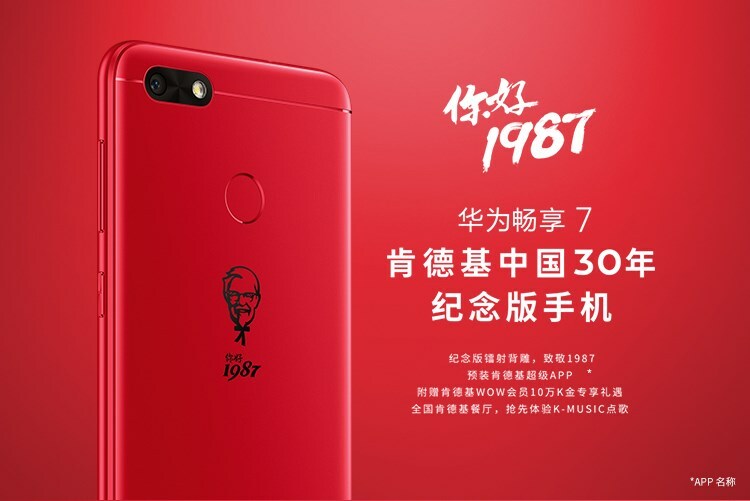 KFC and Huawei will release a limited KFC edition smartphone on the special occasion of KFC celebrating 30 years since opening its business in China. Let us talk about the name and specifications of the device KFC edition Huawei Enjoy 7 Plus. The device got a 5.5-inch screen which has Snapdragon 425 processor with 3GB of RAM and 32GB of storage, can be expanded up to 128GB via a microSD card. The device has a 3,020mAh battery which is huge and a fingerprint scanner(Don’t Lick your fingers, LOL). The design of the phone looks interesting and good. When you look at the back of the device Colonel Sanders art is embossed. KFC made an official announcement via its Weibo page(China’s leading social media platform), but the announcement is written in Chinese. As mentioned Huawei and KFC partnership will only release 5,000 devices and the phones will be available at the cost of $162 USD(1,099 yuan). Add this device to your bucket list ASAP. Is that a joke or some advertising plot. I don’t see anything that gives the vibe of iphone killer.